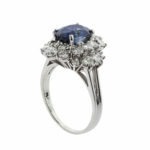 3.12 carat oval sapphire and diamond ring in 18 karat white gold. 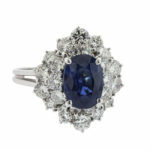 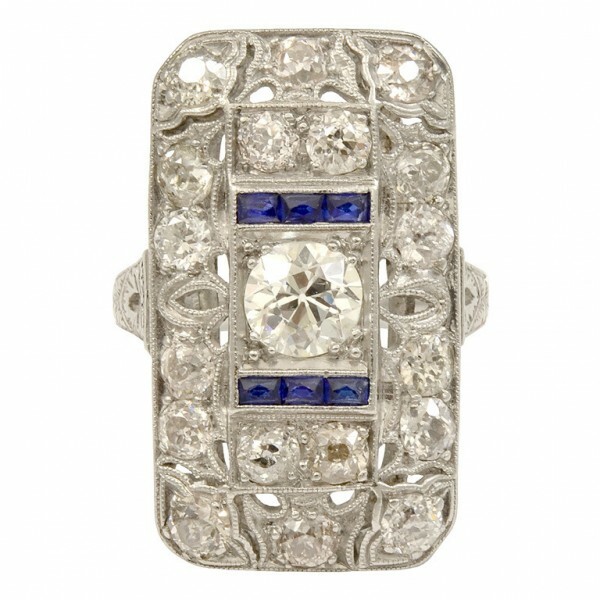 The sapphire is set with four prongs, and surrounded by two rows of staggered height round brilliant diamonds. 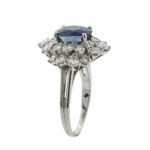 The diamonds have a total weight of 1.85 carats, and are G/H color, VS2 clarity.